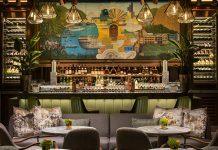 Gzella Collection has announced the launch of three beachside boutique hotels in Fort Lauderdale – Fortuna, Ikona, and Mirra – following multi-million dollar renovations that combine modern interior design and smart technology with historic architecture. Owned by Polish entrepreneur and investor Miroslaw Gzella, and operated by family member Pawel Plata, the hotels within the Gzella Collection are ideally situated just steps away from the beaches of Fort Lauderdale which offer water sports and activities, oceanfront bars and nightlife. 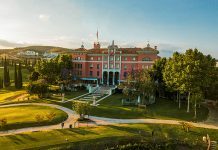 Fortuna Hotel, the collection’s first property open to the public, has a bright and whimsical personality, which is shown throughout 35 guestrooms, two private pools, a sunlit lobby and exuberant outdoor spaces, including a poolside lawn area with oversized beanbags. 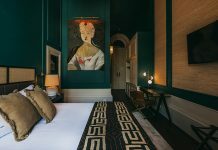 The property’s original architecture pays tribute to the destination’s history, while the guestrooms’ midcentury modern decor honours the different needs of today’s modern traveller. 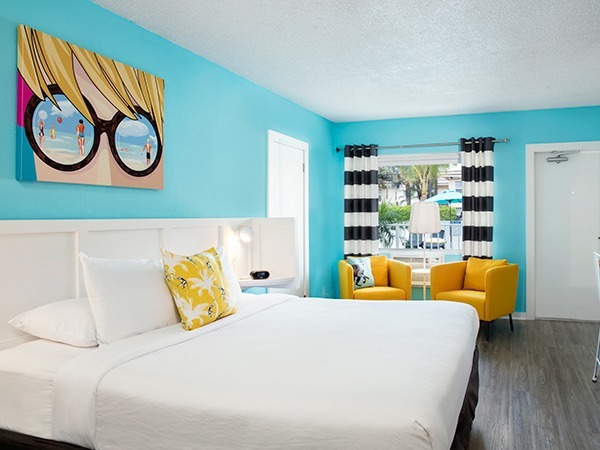 The hotel, originally Seaside Motel, has been completely redesigned, with features including a poolside shower that doubles as a surfboard and fun beach pop-art paintings in bright primary colors, accompanied by quirky bed and chair pillows featuring jungle monkeys and palm trees. Formerly Shell Motel, the Ikona property is designed by Blanche Garcia, and opened summer 2016. Conceived as a contemporary re-imagination of a seaside cottage, 24 deluxe rooms, family apartment suites and penthouses include custom-made furnishings, amenities such as Nespresso coffee makers and Oasis Collection cotton sheets, and natural finishings such as exposed wood and sleek metals. The three-storey hotel overlooks a private pool and courtyard garden, with indoor and outdoor event space including a second-level balcony with ocean views. Mirra Hotel is Gzella’s third property, nestled between Ikona and Fortuna. Located at 3016 Bayshore Drive in Fort Lauderdale, it was formerly the renowned 1950s-era Martindale Motel, and is anticipated to open in the third quarter of 2017. All three hotels are set in a prime location with access to Las Olas shopping district, home to luxury retailers, world-class art galleries and al-fresco dining, as well as the nearby Galleria Mall.